Mr. Raymond Debbane is the President and Chief Executive Officer of the Invus Group, LLC, a New York-based global investment firm with offices in Paris, London, and Hong Kong. He co-founded Invus in 1985 as the exclusive investment advisor of Benelux-based Artal Group S.A. In 1998, Mr. Debbane became the Chief Executive Officer and a board member of Artal. Invus has invested in companies across a wide range of industries including consumer products and services, food, specialty retail, software, biotech, and medical devices. Notable investments include Keebler Foods, Weight Watchers International and Blue Buffalo Pet Foods. Over its 30+ year history, Invus has achieved both cash on cash multiples and annual internal rates of return that are at the very top of the private equity industry. The exceptional returns of Invus’ evergreen investment strategy have grown Invus’ modest initial pool of capital to over $5B, after significant distributions to our investors and without raising outside funds. The primary focus is still on private equity investments in the US, Europe, and Asia, but, in addition, Invus manages a fund of long-short equity hedge funds as well as a long-only public stock portfolio. Debbane is the Chairman of the Board of Weight Watchers International, Inc., Chairman of the Board of Lexicon Pharmaceuticals, Inc., and a Director of Blue Buffalo Pet Products, Inc. of which he was Chairman until its 2015 IPO. 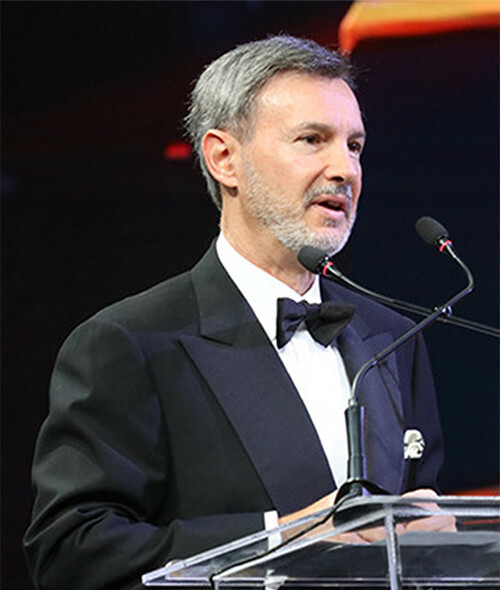 He is a Trustee Emeritus of Connecticut College and is the Chairman of Action Against Hunger-USA as well as the International Chairman of Action Against Hunger Network. Besides being an unknown and secretive private equity investor, Debbane is the Chairman of the Trustees of Centre Libanais pour l’Education Spécialisée (CLES), an NGO set up by his wife that provides one to one learning support for children with learning disabilities. He holds an MBA from Stanford Graduate School of Business, an MS in Food Science and Technology from the University of California, Davis and a BS in Agricultural Sciences and Agricultural Engineering, with distinction, from the American University of Beirut.